We often talk about the fact that YOU are the MASTER you are seeking, and we mean it. All the creativity, answers to current dilemmas and guidance for decisions are within you. One of the easiest and accessible ways to tap into your inner guidance is through the ancient divination technique of tarot cards. This profound system comes from pre-Egyptian culture and was designed to allow a physical means to tap into the metaphysical. For centuries, people have used the tarot to help them gain access to spiritual knowledge and explore universal truths. The great thing is you don’t have to be spiritually inclined to get something out of the tarot. Anyone can do it! Yet it also greatly adds to any spiritual practice once you understand the ins and outs. Sonia Choquette is one of the top intuitive counselors on the planet, her ability to tune in is second to none, and in this program, she is going to teach you this very same gift of personal intuition through the oracle of tarot. When you need assistance in any given moment, through this program you now have the means to gain the deepest of insights into any situation. Once you learn how to work with the decks, you create your own languaging and relationship with them. No matter what card deck you are working with, when you learn to approach them correctly, it all makes sense. Sonia will teach you how to attract more guidance into your life, how the cards can uplift and inform you and how you can go deeper into your spiritual practice all by using card decks. AND you can even help your family and friends. Sonia is a great teacher. This course gives you detailed information on how to to read the cards. What is important to me is that I feel I can trust the information she gives you. She will pull a card from one of her decks for you and give you a mini reading on how that card applies to you. 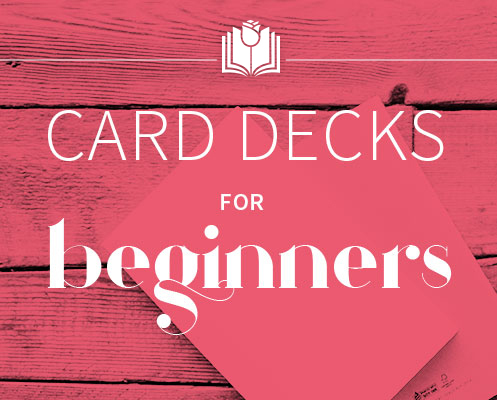 A 15-page workbook designed to help you advance your education of the card decks. Watch 45 minutes of video content. These cards are lovely and the artwork is compelling. Sonia’s simple subject matter is all that appears on the card, prompting inward exploration and intuitive guidance to the surface. I’ve used the cards a few times with friends and my confidence is building in allowing my higher self to speak through the cards. Thanks so much.